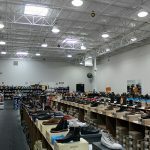 SRI Shoe Warehouse – GreenTech Solutions Group, LLC. 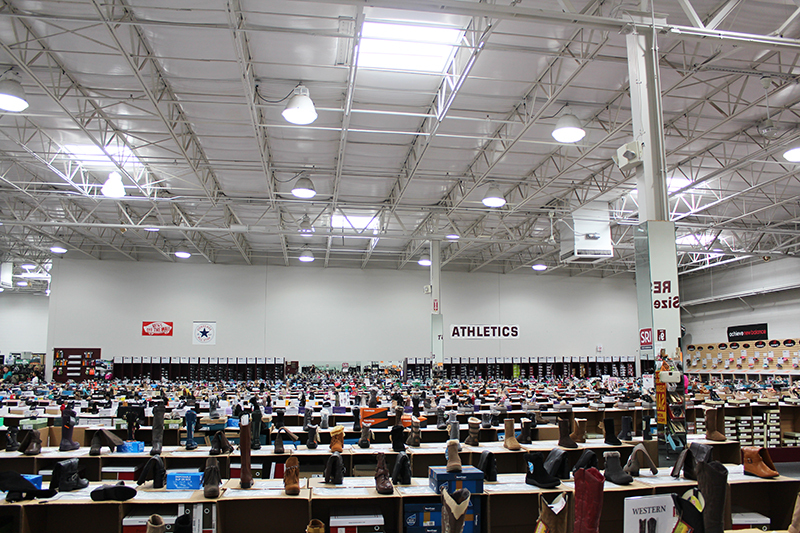 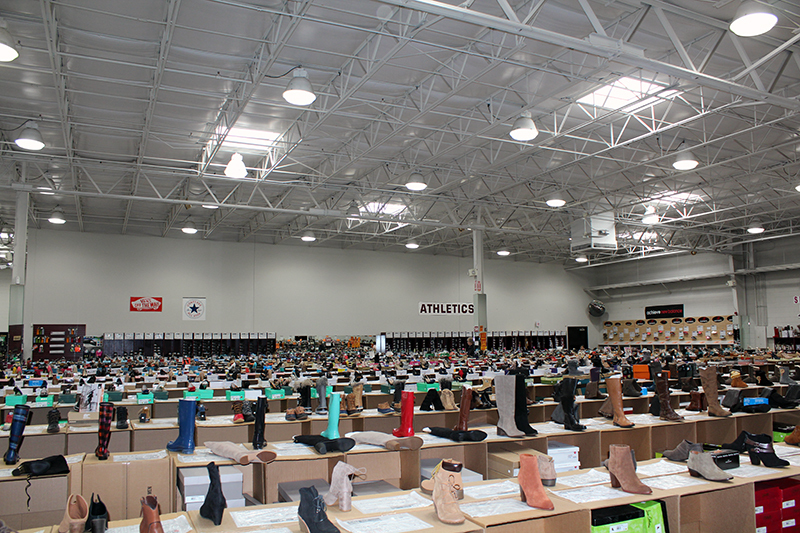 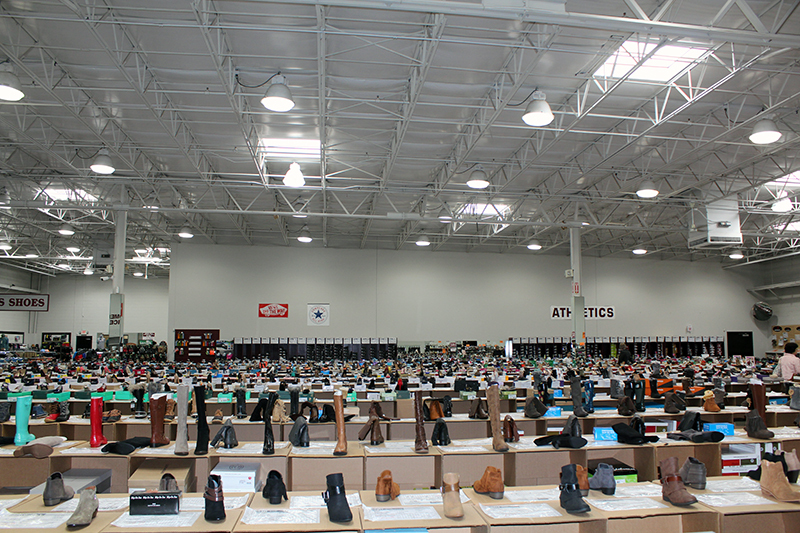 SRI Shoe Warehouse was founded by Stuart and Barbara Rosenberg. 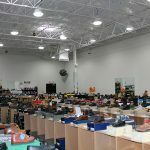 Their vision of a warehouse emporium of stylish, casual, and always affordable shoes is as innovative today as it was when the store opened back in 1991. 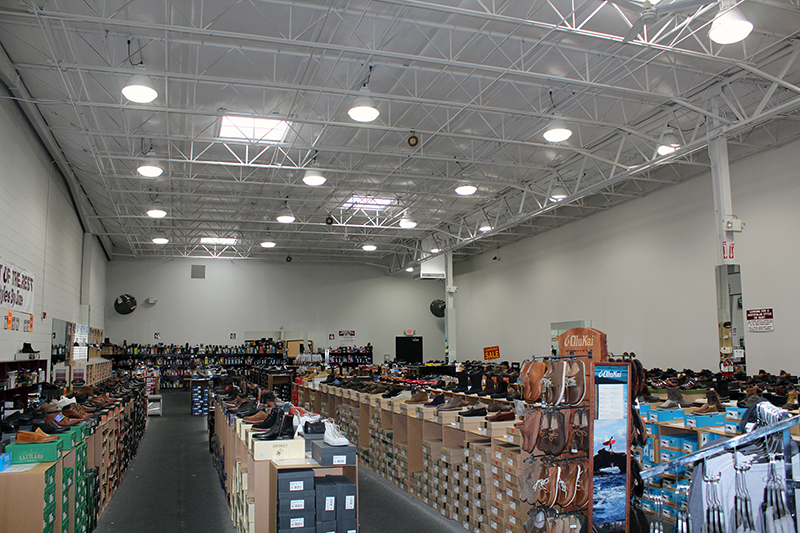 Today, with the help of the next generation of the Rosenberg family, SRI Shoe Warehouse remains a top destination for comfortable, affordable, quality shoes. 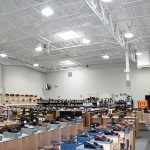 Since the store is open seven days a week, it was important to find ways to save both energy and money. 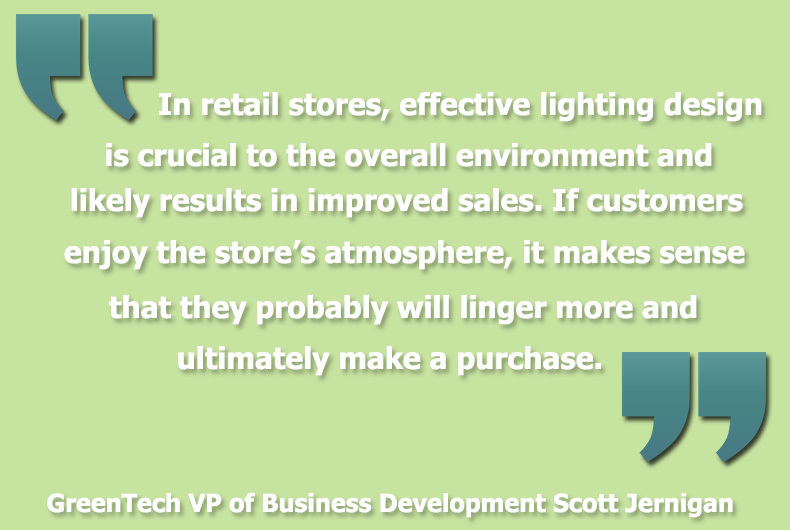 In a typical retail store, electric lighting accounts for 22 percent of total building energy use. 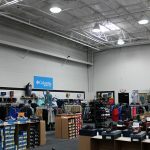 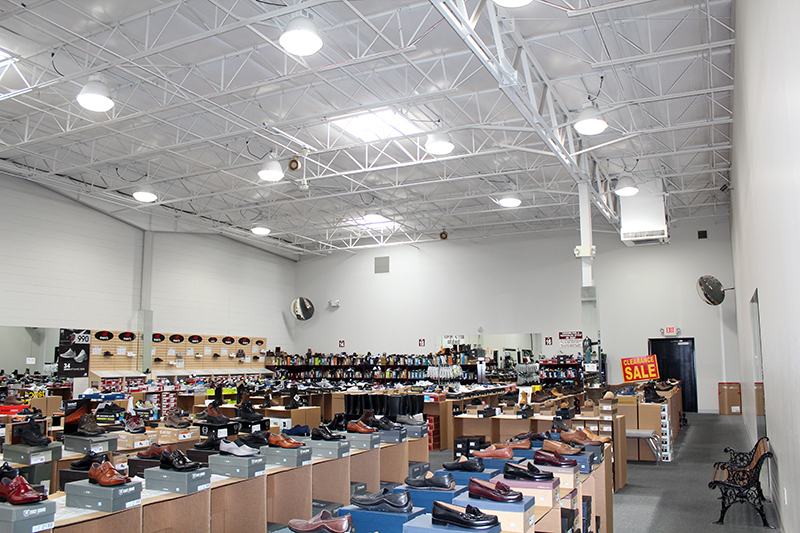 SRI Shoe Warehouse was looking to decrease operational costs and sought the expertise of GreenTech Solutions Group to provide a complete LED lighting retrofit of its Raleigh, NC store. 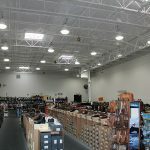 GreenTech took into consideration the retail aspect of the job, keeping in mind that lighting merchandise in the most attractive way and ensuring customers they can find the products they are looking for easily are critical to increased sales for the retailer. 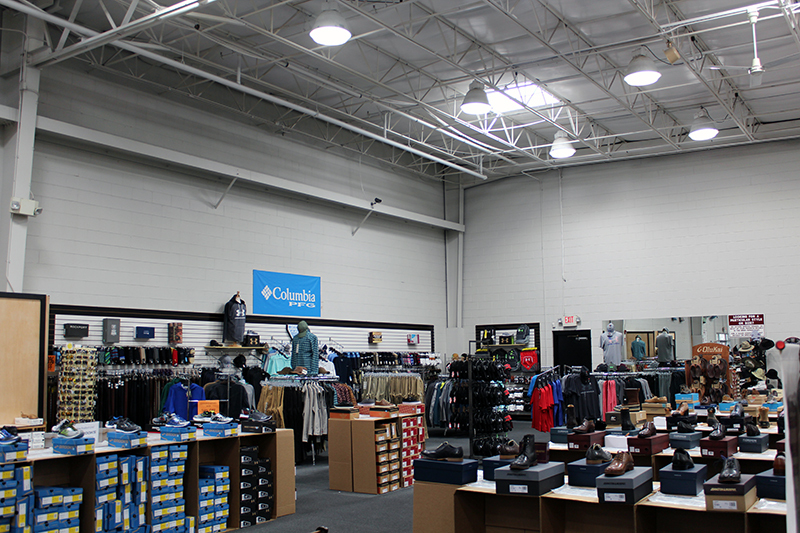 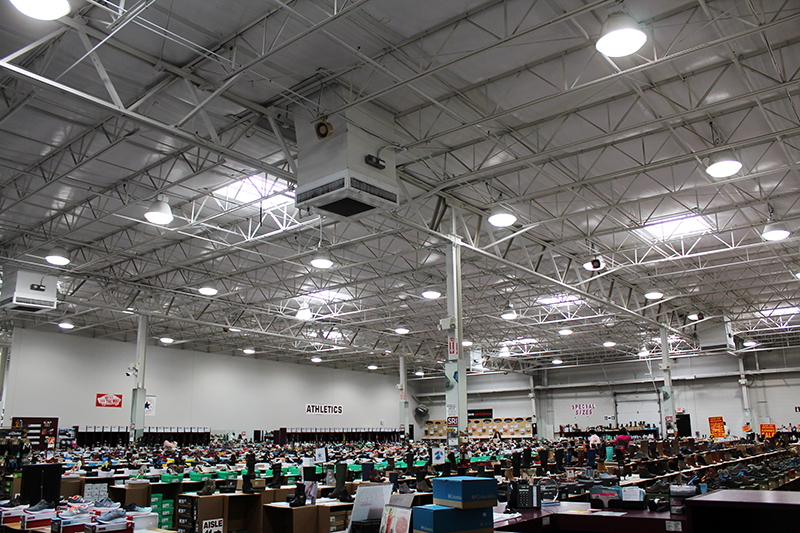 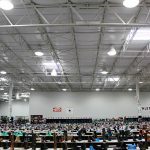 GreenTech’s lighting upgrade involved removing all current high bay HID light sources and replacing them with new energy-efficient 120-watt LED lighting fixtures that deliver more consistent and better quality lighting. 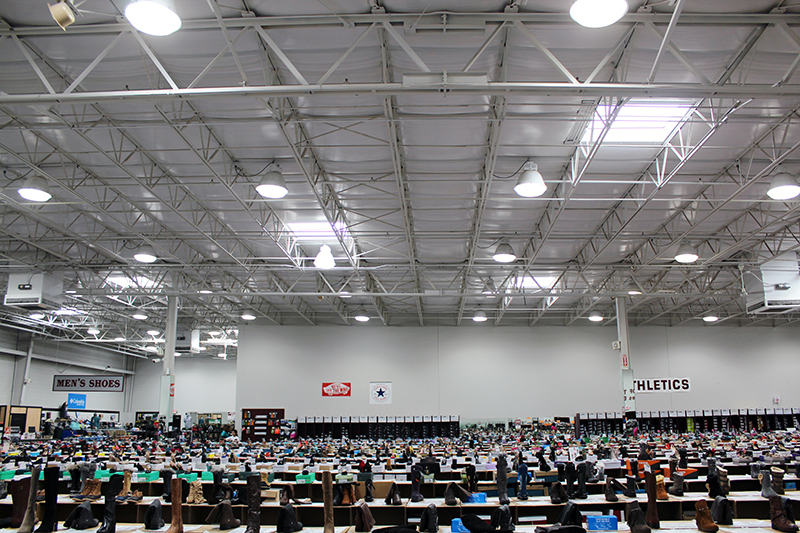 The upgrade resulted in a 74% reduction in annual lighting energy usage. 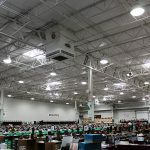 Due to the energy efficiency and longevity of LEDs, the maintenance savings is 100%, which resulted in a 77% savings in annual operational costs. 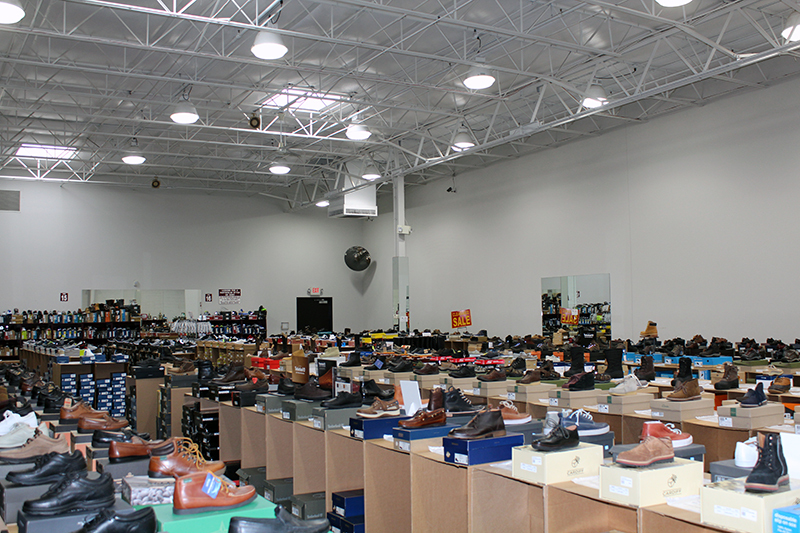 The upgrade will save SRI Shoe Warehouse approximately $8,500 a year. 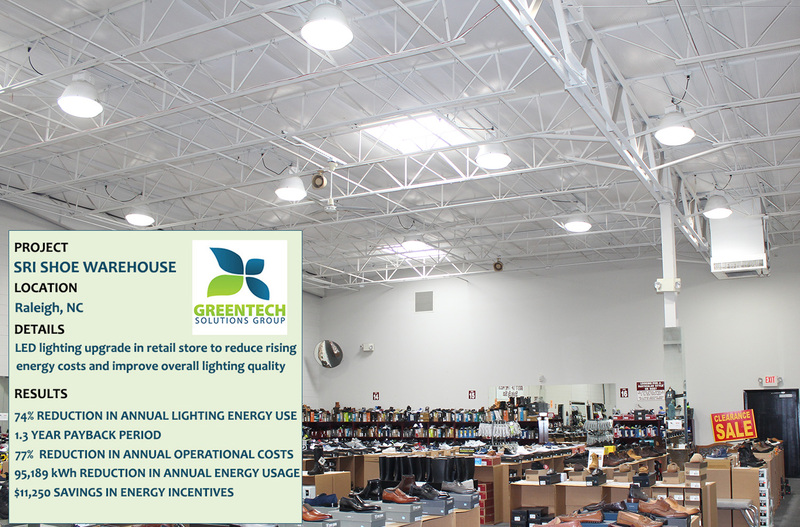 A generous rebate from Duke Energy Progress paid for nearly 48% of the project cost, which reduced the payback period to only 1.3 years. 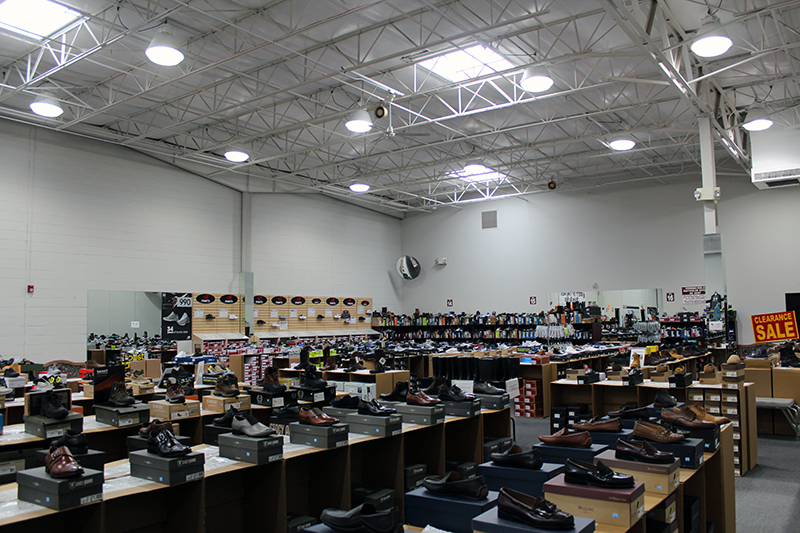 The energy savings of the lighting upgrade is the equivalent of taking 14 cars off the road or planting 55 acres of urban forests. 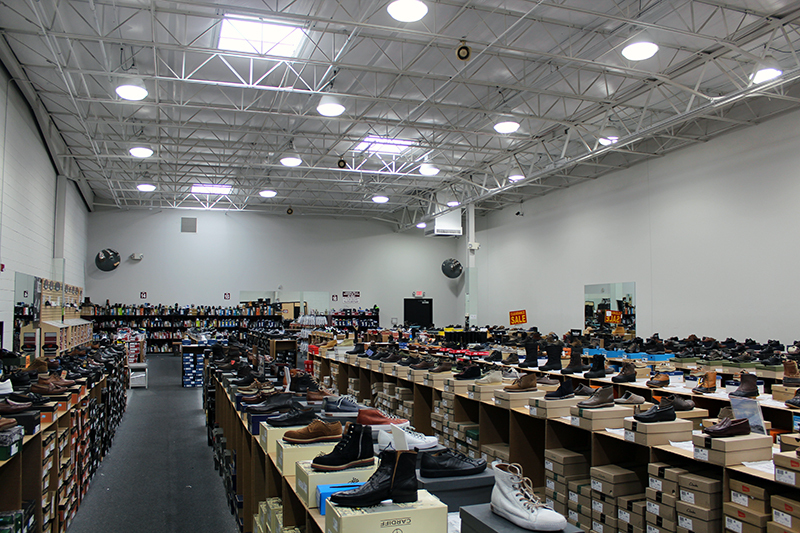 With increased color and lighting quality, the retrofit helped make SRI Shoe Warehouse a store that is inviting where customers want to stay and shop.